As cute as a button, the Zoggs Flora Yaroomba Floral Tots Girls’ One Piece is a funky flamingo dream come true! An adorable print of flowers and butterflies in sunshine yellow, sky blue, and shamrock green with sapphire blue accent straps in a funky floral pattern in back, this look has it all. 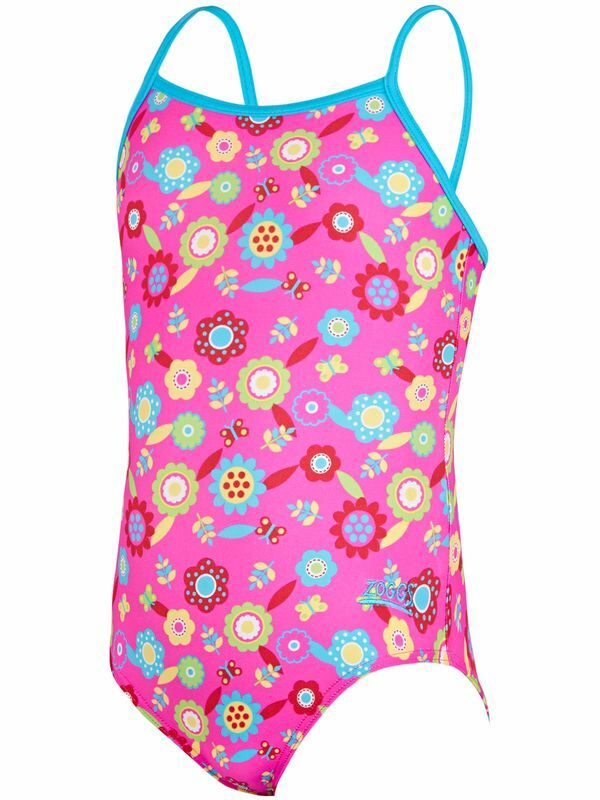 As strong as it is beautiful, the Zoggs Flora Yaroomba Floral Tots Girls’ One Piece is made with chlorine proof Aqualast. That means that this one piece will stay fitting like a second skin and feeling flawless through countless days in the pool!